As well as the perfect place for a stroll, the Aventine hill is chock-full of some of Rome's best, ancient gems — including the Basilica of Santa Sabina. After all, Santa Sabina doesn't just have ancient origins. It's also, in many ways, still ancient. What do I mean? Well, the Basilica of Santa Sabina was founded in the 5th century. 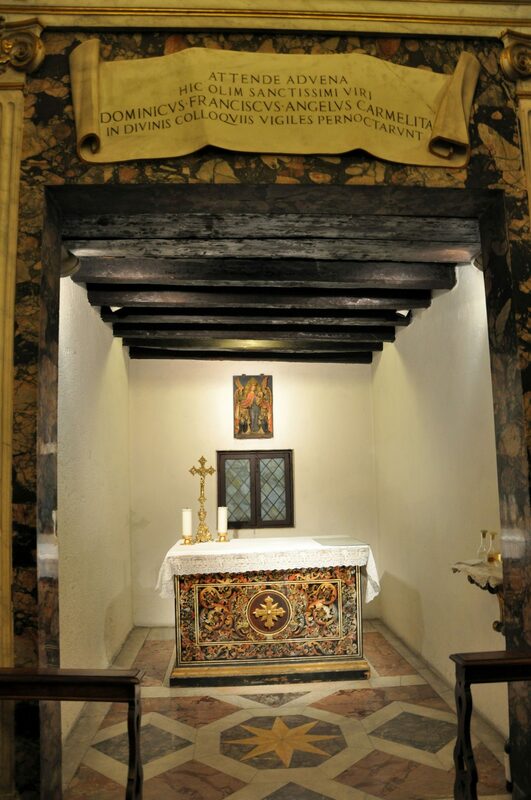 (It was built on the house of Sabina, a Roman who later was named a saint). Incredibly rarely for any "ancient" church, though, it also retains its ancient character… and architectural details. The church's exterior looks like it did in the 5th century. That elaborate wooden door, covered in panels depicting Biblical scenes, was carved in 430-432. The 24 marble columns in the nave were "reappropriated" from the neighboring Temple of Juno. And, while the vast majority of the gorgeous, sumptuous mosaic that once would have covered the interior has disappeared, the original 5th-century dedication of the church remains, in Latin, above the doorway. Even the "newer" parts of the church are, um, old. The chancel's marble furniture was added by Eugenius II in the 820s; the windows also date to the 9th century. The campanile was built in the 10th century. That's not to say that the church hasn't been through changes. Pope Sixtus V remodeled the interior along Renaissance lines in the late 16th century; that was all reversed, though, from 1914-1919, a process that involved taking marble fragments from the pavement and piecing them back together into their original form — the 9th-century marble furniture. 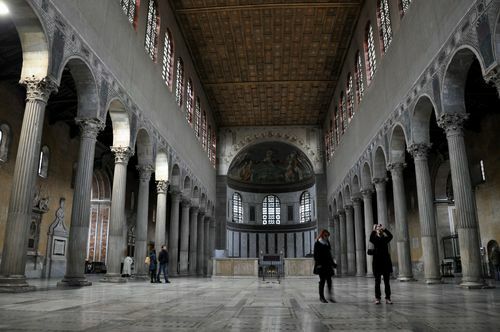 That kind of painstaking attention to detail is why, walking into Santa Sabina in the 21st century, you can feel transported back more than 1,500 years. And if you're lucky enough to be in Rome at the time a tour by Roma Sotterranea or Roma Sotto Sopra is running, you can be transported back even further. 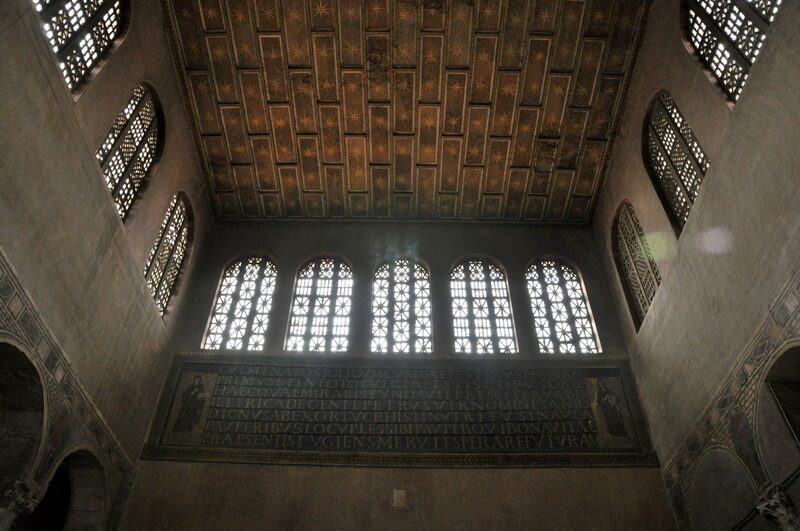 Because, beneath Santa Sabina, lie (but of course!) ancient ruins. In 19th and 20th-century excavations, not only were huge chunks of the Servian wall, built in the 4th century B.C., found — but, built into the walls, private homes from the 2nd century B.C. and even a small, 3rd-century-B.C. shrine. This is why I'm a fan of these underground sites: There's nothing like descending beneath the modern world, standing in a room with nearly-pristine stone walls, or next to the tufa stones laid by Romans 2,350 years ago, to make you feel like a time traveler. Whether you're on a tour or not, also see if you can get a peek at the Dominican convent of Santa Sabina, too. The convent still has the cell where St. Dominic stayed. It's since been turned into a chapel… by none other than Gianlorenzo Bernini. Santa Sabina is located at the Piazza Pietro d'Illiria, on Aventine hill; here's the location of the Basilica of Santa Sabina. It's open from 7:30am-12:30pm and 3:30-5:30pm. 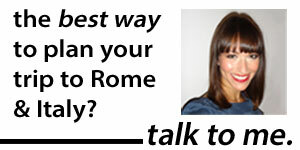 Why, Why, Why Does Rome Have So Much Graffiti?